Bach was a prodigious talent at the keyboard, well known during his lifetime for both his technical and improvisational abilities. 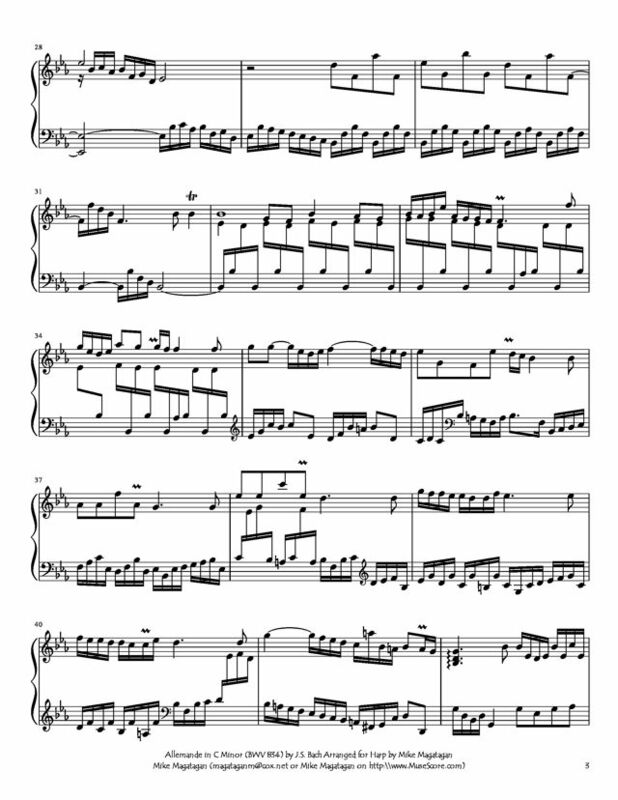 Many of Bach's keyboard works started out as improvisations.Bach wrote widely for the harpsichord, producing numerous inventions, suites, fugues, partitas, overtures, as well as keyboard arrangements of concerto music by his contemporaries. The fortepiano is an instrument Bach would have encountered once, by the end of his life when it was recently invented, while visiting his son in Potsdam. The visit resulted in Das Musikalische Opfer, parts of which may have been intended for the new instrument. Suites and suite movements (Nos. 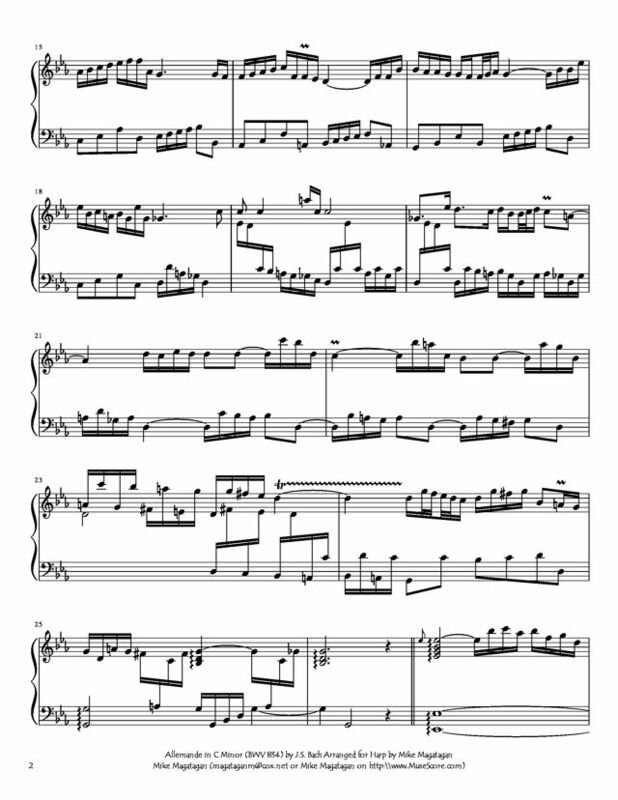 832–845) Includes Suites and single movements from Bach and from possible other composers. 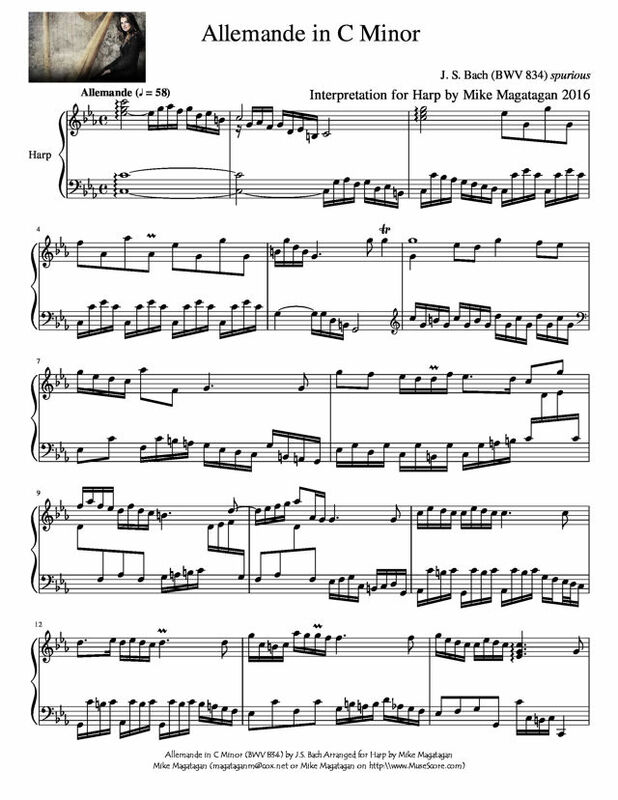 Olthough originally composed for Keyboard (Harpsichord), I created this arrangement of the Allemande in C Minor (BWV 834) for Solo Concert (Pedal) Harp. 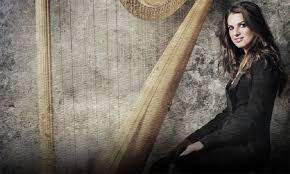 All Harp best sellers sheet music.